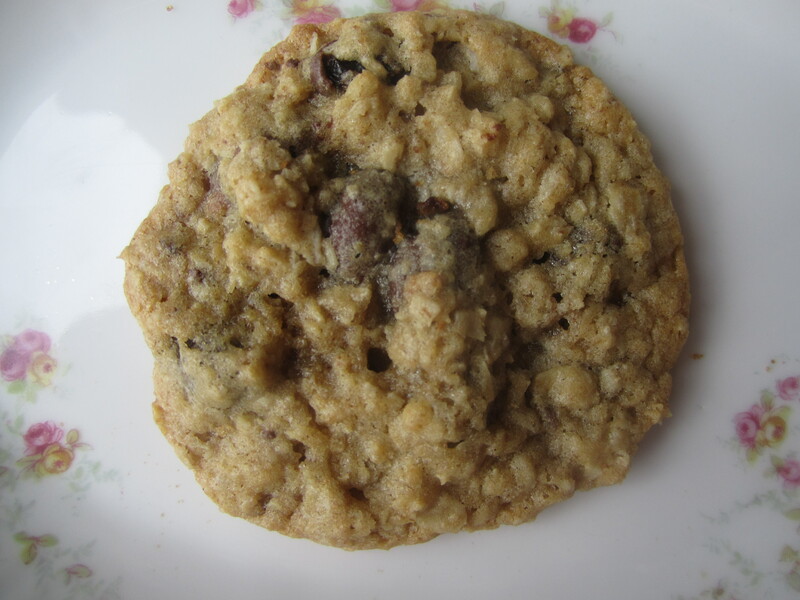 On my journey to find the best oatmeal raisin cookies, I stumbled upon this delicious take on the original by Nestle. 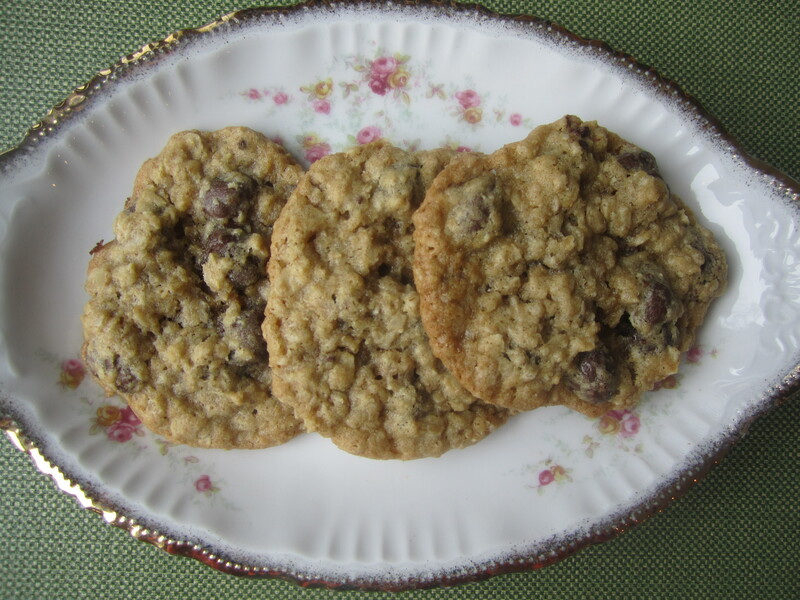 It has just a hint of chocolate which does not overwhelm the basic deliciousness of oats and raisins. I used the dark chocolate version of Raisinets but the milk chocolate would be yummy as well. And if you can find them, Cranberry Raisinets would be amazing! Preheat oven to 350 degrees. 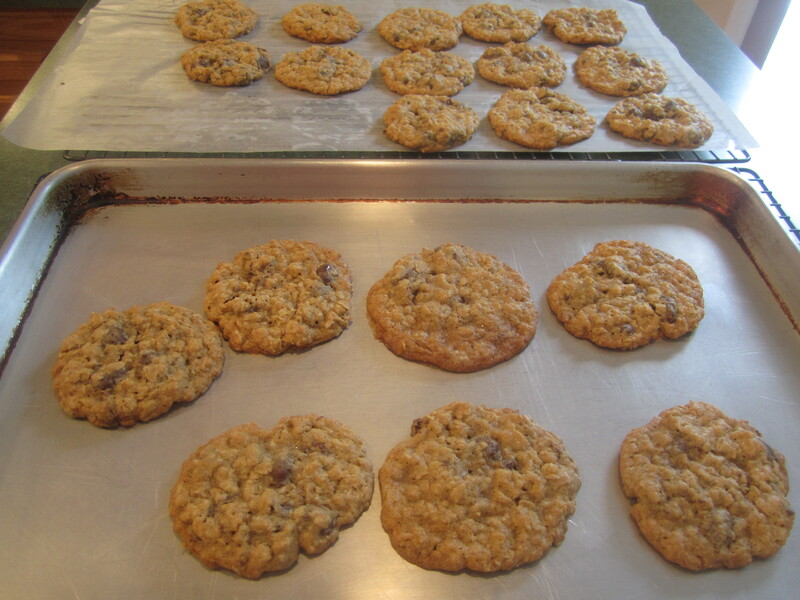 Put aside 2 cookie sheets but do not butter or spray with canola oil, leave as is. 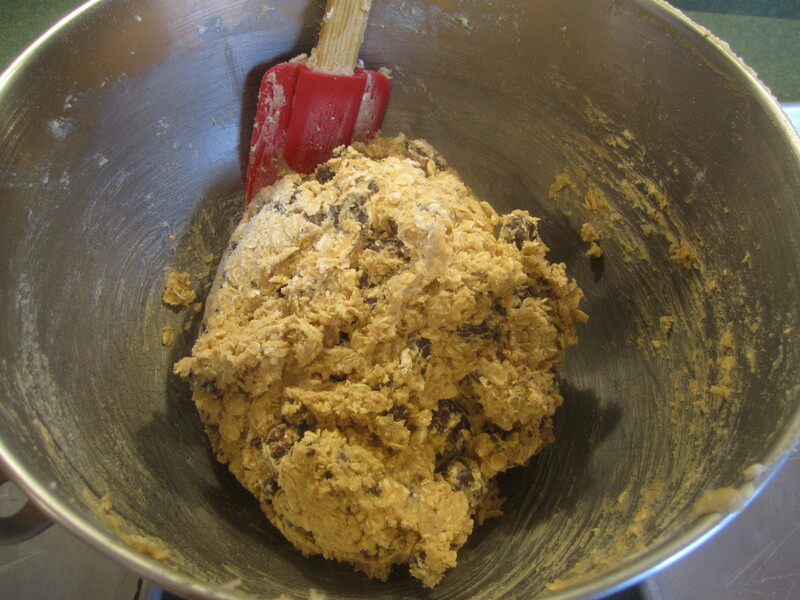 Put butter in bowl of mixer and start beating to soften, while you measure out the other ingredients. Place flour, baking soda, cinnamon and salt in small bowl and stir together with a whisk. Place sugar and brown sugar in another small bowl. Put eggs and vanilla in small bowl. Measure out oats into a medium bowl. Open up boxes of raisinets and place in a medium bowl. 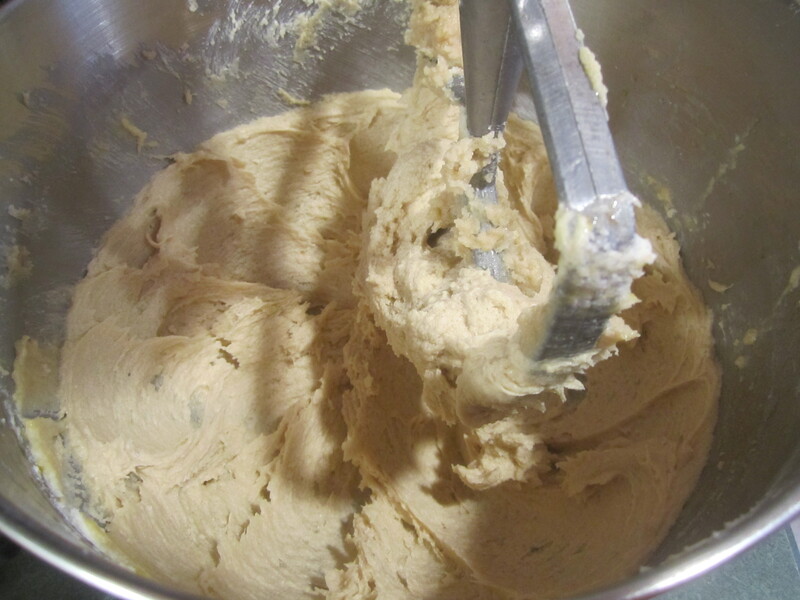 By this time your butter should be fairly soft, if not keep on beating until it is. When butter is ready, add sugars and beat until thoroughly combined. Add egg mixture and beat until combined. Turn off machine and scrape bowl and beat until somewhat fluffy. 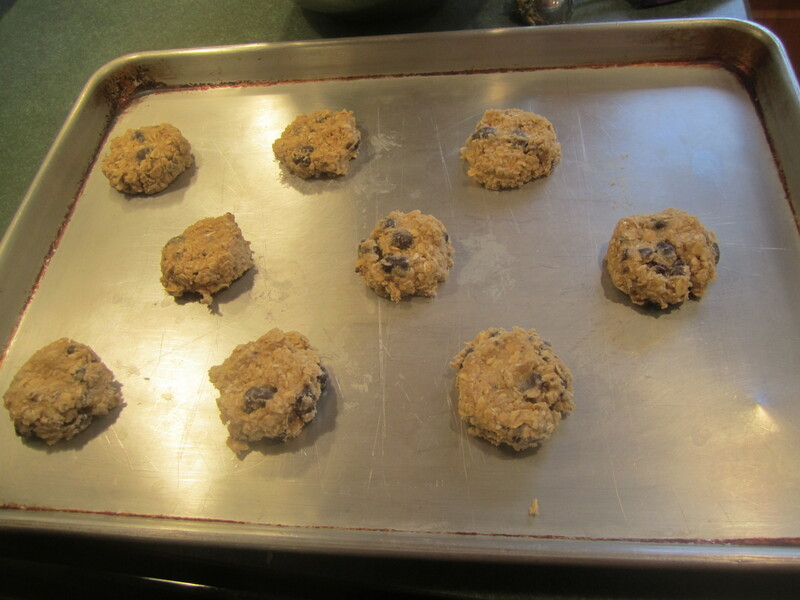 Gradually add flour mixture, then oats and when almost combined, turn off mixer and scrape bowl. 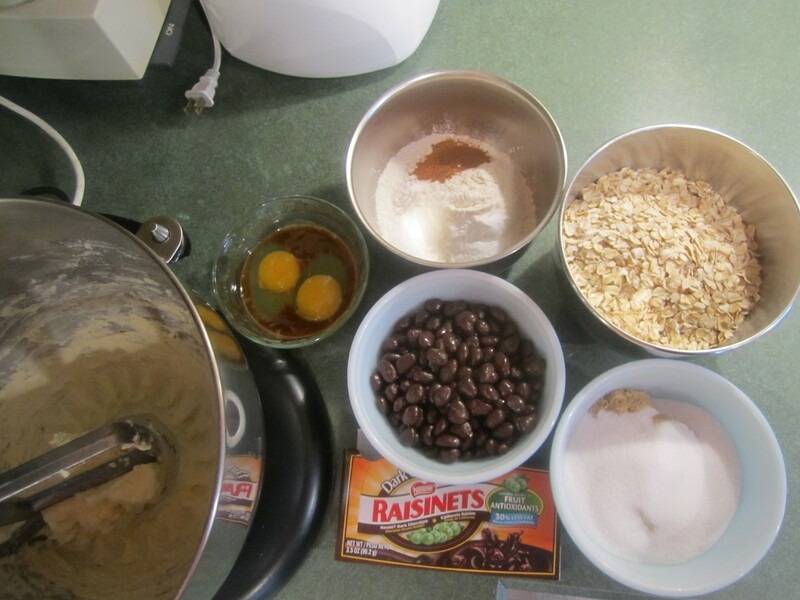 With mixer back on, add raisinets (and nuts, if using) and mix until just combined. Using two tablespoons or a cookie scoop, drop the dough two inches apart onto cookie sheet, slightly flattening balls with fingertips. Bake for 12-13 minutes, turning pan 1/2 way through baking, until slightly brown around edges but still somewhat soft in middle. Do not overbake. Remove from oven, cool on cookie sheet for 5 minutes and then remove onto wire racks to cool completely.